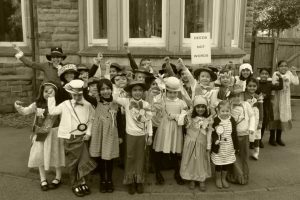 Home » News and views » Julie’s blog » A Junior School with added values. A Junior School with added values. Guest blog by Mark Cox, Year 5 teacher. Recently, we came together as a community to mark the centenary of the Representation of the People Act, celebrating the moment at which women began to have a greater say in national politics. Looking back at the pioneering work of the then Girls’ Public Day School Trust (GPDST), I have often wondered how our predecessors of 1918 set about creating a high calibre and engaging curriculum for young women in a man’s world where their opportunities beyond school were so limited by law, convention and prejudice. How would one have motivated and captured the imaginations of talented girls in the sciences, for instance, knowing that their work might subsequently go unpublished or unacknowledged? Times have changed and so have the challenges for teachers, for some would say that we now compete with the instant gratification of Wikipedia and YouTube, the accessibility of Brian Cox and Maggie Aderin-Pocock and CGI technology, and the fake or just plain banal news embedded in social media. Do we resort to stunts to capture our pupils’ imaginations? Do we constantly reinvent the wheel that is the National Curriculum? Will we be replaced by automata? With just nine years teaching experience, I’m not eminently qualified to be a curriculum expert, however I can certainly venture an opinion on what makes learning in Key Stage 2 memorable, relevant and – most importantly – useful in an age when the technologies and social norms of five or twenty five years’ time lie beyond our collective imagination. For it is the skills that we teach and the personal responsibilities which we imbibe in our girls that will outlast many of the facts and processes which tradition and current legislation have placed in the education system. Positivity and Resilience, two of our School Values, therefore lie at the heart of our curriculum – especially in competitive sports and music. Nationally, most schools don’t enter children in swimming galas during Year 3 – we did, in January. 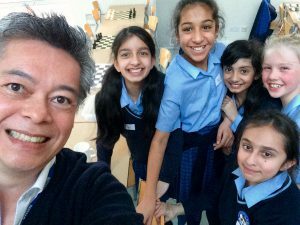 Locally, most schools cannot field a girls-only chess team, let alone sustain a club of 50+ members from Year 2 upwards – we do, and we rejoice when we win and laugh when we lose. The ability and willingness to stay the course and laugh at oneself are hallmarks of the NGHS girl who enjoys a Year 6 ‘pantology’ grammar lesson, participates in a Year 5 ‘crystal ball’ mental maths role play exercise, puts herself in the spotlight at Vocal Works or Winter Lights, or revels in Cross Country or Football Club during the coldest months of the year. To some, Excellence and Creativity are incompatible bed mates in academia; “How can four hours of Art & Design and Performing Arts, plus a lunchtime orchestra help my daughter achieve top marks in Maths?” they ask. Well, my experience teaching in Years 4, 5 and 6 tells me that the most confident and hardworking performers and speakers are often those most adept at both collaborative and independent problem solving, and the most resilient and creative in trial and error situations. 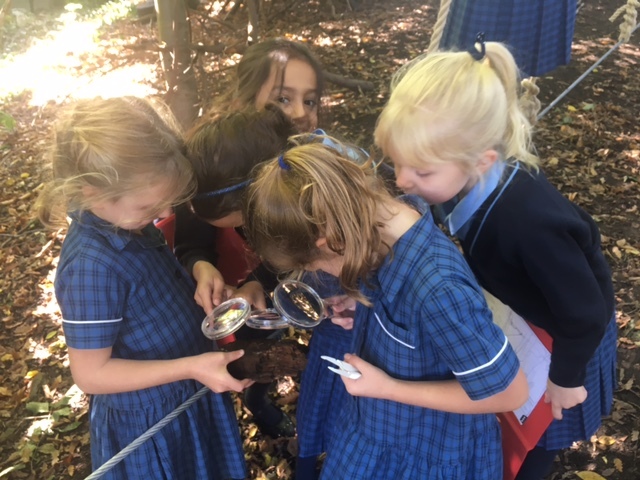 And there it is – a school that offers such a wide range of extra-curricular and enrichment opportunities, free of gender stereotyping, is a school that can find the creativity and opportunity for excellence in every child – and not just in the core subjects. When I first joined the Junior School, I was struck by the independence afforded to girls in Key Stage 2 – walking to lessons unchaperoned, managing their own timetables, knowing the intricacies of what PE kit to bring for different activities, visiting the Library at lunchtime, organising House competitions and juggling umpteen extra-curricular commitments. 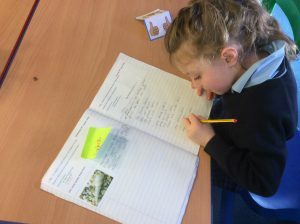 Trusting our girls to use their Initiative at a young age is another example of how our School Values underpin the curriculum; if a girl can take responsibility for managing her Home School Planner and homework deadlines, then she will also take ownership over learning spellings and stretching herself with her personal reading choices. After four years at NGHS, I now accept our girls’ sense of personal responsibility as the norm – but frequent visits to other schools with Chess Club remind me of how independent they are compared with their peers. 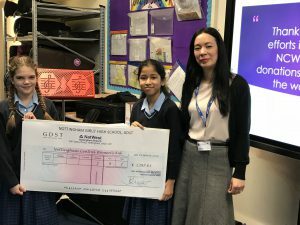 The sixth of our School Values, Empathy, was most evident during our Vote 100 celebrations as girls who had learnt about and experienced at first hand the Victorian Workhouse in Year 3, and who in Year 5 studied the limited opportunities and sexism which women endured in the 1950s, came together to support Nottingham Central Women’s Aid. A creative curriculum which places such a strong emphasis on forging a deep understanding of other people’s lives – both past and present – is perhaps our greatest strength and the force for good that will help us to nurture the happiest and most confident female leaders of the future.